There’s one ubiquitous thing we all have tucked away in our closet or nestled into a drawer. Comfy cotton. Be it jammies, a ratty college T-shirt, jeans that rock our booty, or a summer dress, cotton truly is the fabric of our lives. As a marketer and a lover of natural fibers, that ad campaign is the stuff of aphrodisiacs for a girl like me. I don’t believe style and comfort are mutually exclusive. Ask anyone in my family and they’ll tell you how I swoon for fabrics that are a tactile pleasure. That’s why I drift toward cotton again and again. My wedding dress was even cotton. With pockets. North Carolina has a rich and complicated history with cotton. Our state grows a lot of cotton. If you’ve driven to the beach in the fall you’ve likely passed the cloud-like white fields of billowy cotton at harvest. It’s a sight to behold, truly. 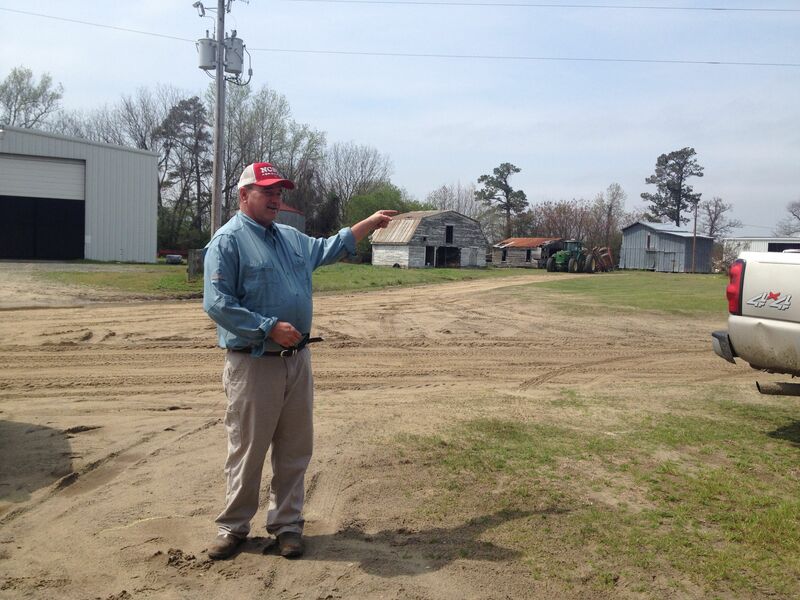 I recently met an eighth generation cotton farmer at his family farm in Eastern North Carolina. His family has been farming there since the 1600s. Meeting him gave me a glimpse into farm life and the values of the families who choose to work the earth to make a living. They would say it beats a desk job. They would say farming is in their blood, the very fiber of their being. And it’s apparent. Those Farmers Only dating site ads perpetuate misperceptions and stereotypes about farmers. There’s nary a simpleton in site. I’ve visited a lot of farms in the last few months and I have yet to see a grown man in overalls. Farmers have business acumen as well as a heft of science background. They do more than plant a seed and pray for rain. They are a savvy bunch. That red tractor belonged to Farmer Scott’s father. He’s the only one allowed to drive it, and he says it still hums. Cotton farming in North Carolina is part of our defining heritage. 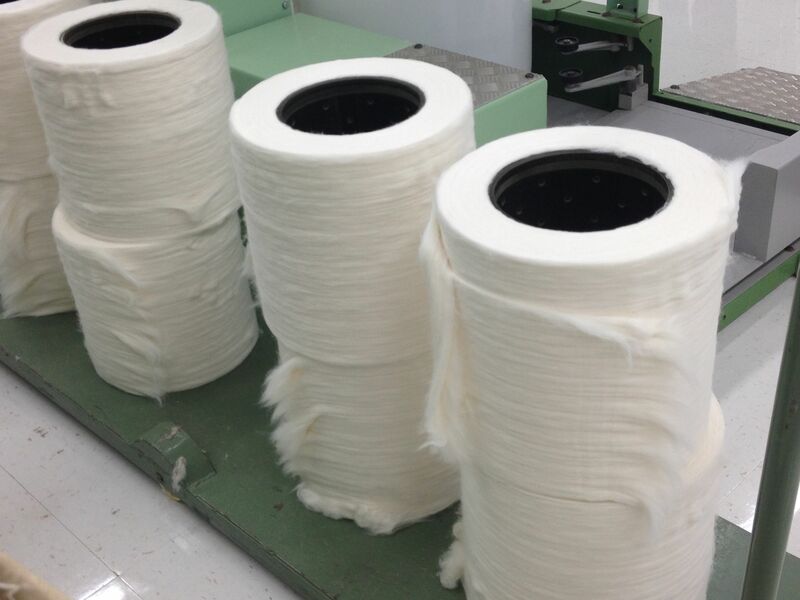 While textile mills have been shuttered, cotton farming still thrives. Farming, whether for food or textiles, is among the many things we take for granted. 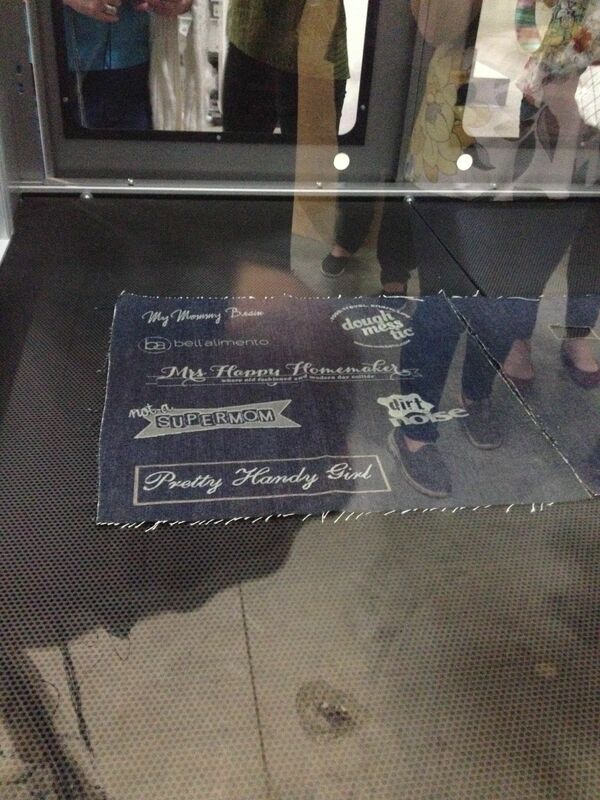 Those high threadcount sheets started on a farm somewhere. On this particular farm trip I heard from farmers, plant geneticists, fiber researchers, and trend forecasters. Monsanto sponsored this trip, and lest you be swayed by what’s in the press, I assure you there was no Kool-Aid proffered. 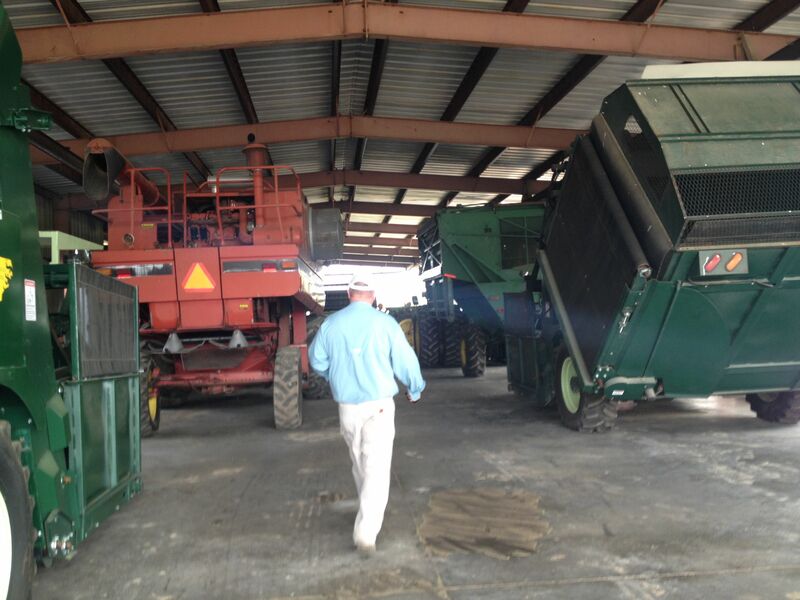 I’m lucky to be able to visit the source and learn firsthand from people in the cotton business. I can form my own opinions based on what I saw and learned. There is a whole lot of heart in cotton farming, from the soil scientists to the seed researchers, to the textile researchers, to the farmers themselves. One of the most recognizable brands. Headquartered in Cary, North Carolina is Cotton Incorporated. Here’s what Cotton Inc. states as its mission: “Our mission at Cotton Incorporated is to promote the use of and desire for all things cotton, to get people like you to care about what’s in the clothes, sheets and towels you buy. 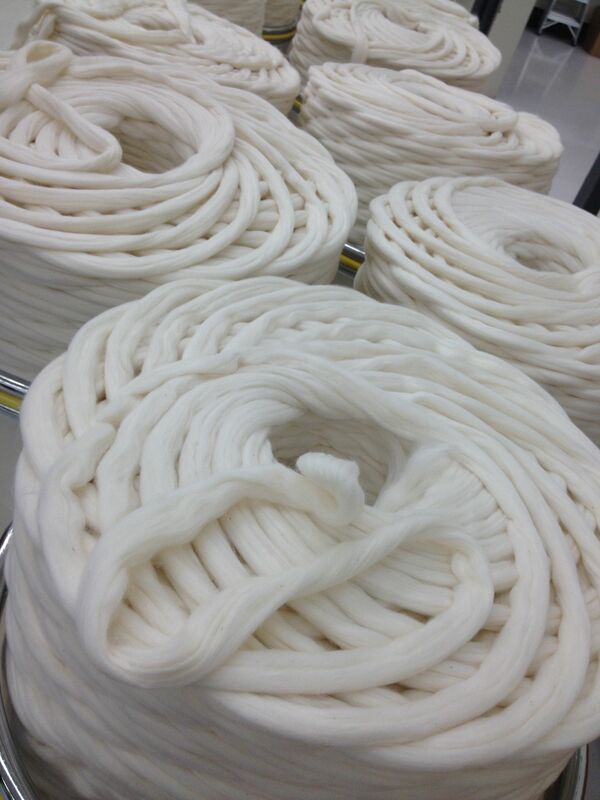 We know amazing things about cotton, and our job is to help you see why cotton is The Fabric of Our Lives®. ” I kind of love it. There are so many interesting things happening within the walls of the Cotton Incorporated offices. I came home positively swooning about my day there. There’s textile research and fashion styling and laser printing on fabric and crop research and creative marketing and more. 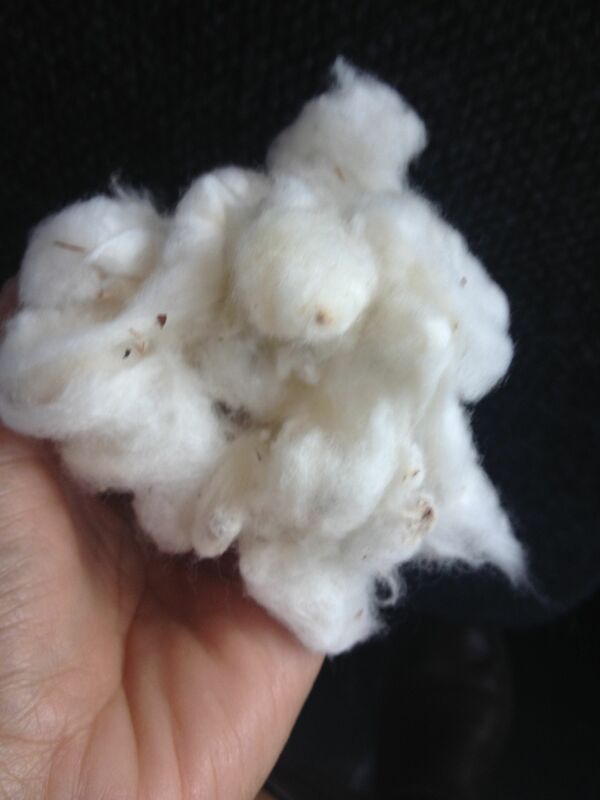 We toured the facilities, and I learned that cotton is a tactile pleasure at all its stages. 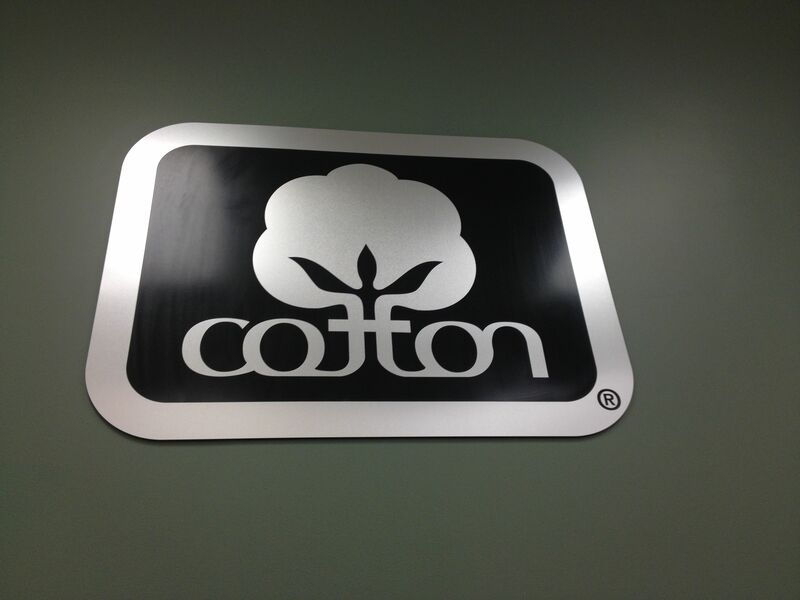 Cotton Incorporated was established in 1970 to support farmers in the research, development, and promotion of cotton. The office boasts scientists and designers alike. These people know cotton. 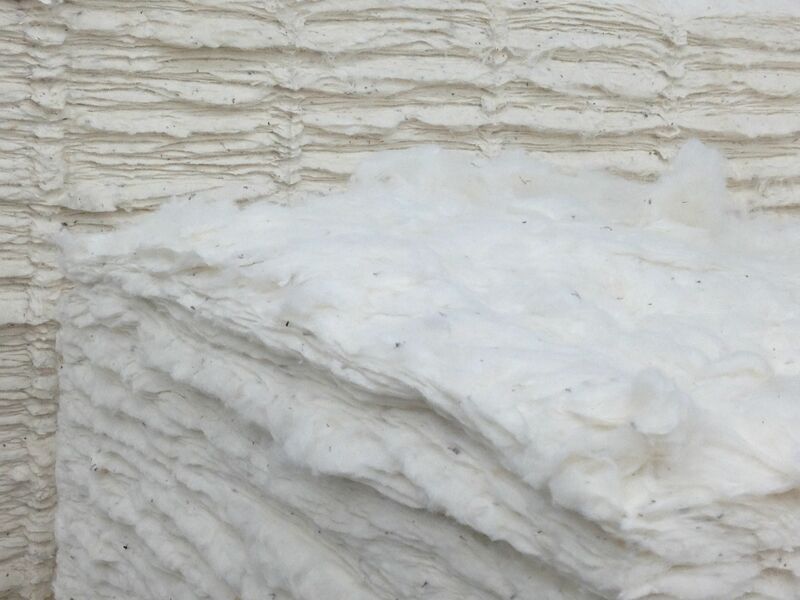 There are new developments in cotton like wrinkle-free and stain resistance, as well as breakthroughs in sustainability and new uses for cotton. Just because this is a crop with a legacy, doesn’t mean it’s old and irrelevant. 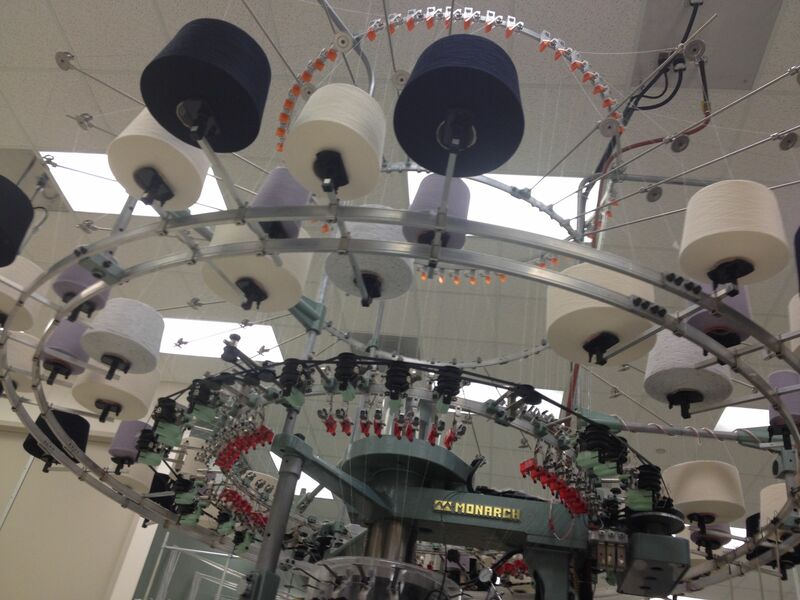 Something’s always looming at Cotton Inc.
How fun is this? 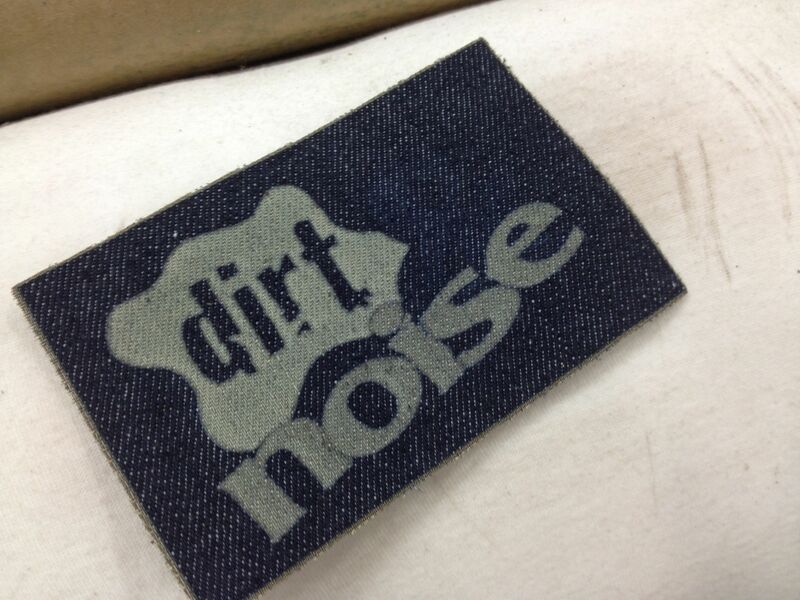 My blog logo laser printed on denim.